For the fourth in the series of Christmas blogs, I have looked across the ditch. I first came across Corinne Torres on Twitter (@Corinne_Torres) and, although we haven’t met, I have always been impressed by her thoughtful and intelligent contributions to online debates. 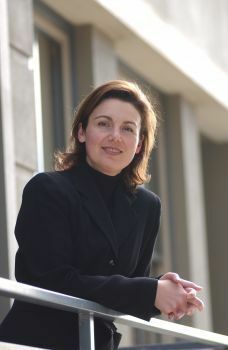 Corinne runs a coaching and consulting business, mostly about leadership, from Brisbane, Australia. Her expertise is mostly in organizational behaviour and human decision processes, leadership and management consulting, executive coaching/mentoring and strategic planning & change management. In November 2013, I had to relocate unexpectedly. Despite having moved countless times to support lifestyle choices and career decisions, I found myself agonizing over the logistics of it all. Shall I do it myself or throw money at the problem? Although it was a residential move, the process felt like I was relocating a large incumbent business with legacy systems and an army of employees deeply ingrained in familiar surroundings. It all felt so burdensome. But was it the prospect of change that felt so heavy or was I resisting a decision that was forced upon me? This unsettling state made me question my resistance to change and more specifically, my attachment to familiarity and ownership. Is the emotional / physical / mental / financial attachment to our possessions and surroundings – enhancing our lives or hindering it? As I entertained the idea of donating all my possessions to charity, I wondered how much of the past I should carry into the future. Would I draw that much comfort and happiness from familiar items or would the “same old same old” trigger the opposite effect and perhaps create inertia? What if I need something? What would be the replacement cost of it all? There is no turning back once your goods are collected. With Christmas approaching, I felt strong about repurposing pre-loved and useful items I had outgrown. And interestingly, the process of change felt like a natural continuity despite parting from possessions I had accumulated over the past 19 years. As I reflect on the experience and feedback received, I wonder what makes us emotionally resistant to creating a radically different future and what it takes to create a new pattern to pioneer a new way forward. 1)	If we can agree in principle that our interests, tastes, needs, wants, goals and directions change over time, why can’t we embrace the new without the old? Why can’t we just move on, break apart from the old world to make way for the new? 2)	Is our attachment to what is familiar, a by-product of conditioning or a lack of confidence in our decisions? 3)	Is our need to “do today to prepare for tomorrow “, facilitating or hindering the shift into the new? By constructively associating ourselves with what we need or may need, are we being responsive to uncertainty or simply making it harder to break away from self imposed limitations? With the rise of enterprise mobility, the hierarchical model struggles. The consumerisation of IT created a new pattern, by swinging the pendulum of power and the basis of competition into the hands of employees and consumers. With the widespread use of mobile devices, there is scalability, availability, usability, and flexibility in how employees and consumers decide and perform. Yet our leadership model remains unchanged. C-suites have not reset their human capital strategies to match the speed and agility of the digital world. Having said this, there is awareness in the workplace on both doing different things and doing things differently. Most companies have integrated the delivery of their services and products to reflect IT trends. But – is it enough? Can companies re-segment or create new markets in their industry with strategies based on talent or pricing competition, like it was common practice in the old world? There is something a little rigid and defended about this loyalty to a model that has stood the test of time. And it may well be this resistance to change that might expose employers and employees to more instability and chaos in the workplace than the shifting economic currents created by the rapid unsettling advances in technology. There is no turning back. The digital age has irrevocably transformed the way we work and live, fusing our world into a fast and multi speed interconnected ecosystem. By repurposing my resources (mainly time and possessions), I gained speed, power and scalability, as well as peace of mind. I created a new pattern that allows me to repeat a residential move in just 90 minutes. Could our resistance to change block our progress in the digital world?